"Dr. Korey is truly one of a kind. 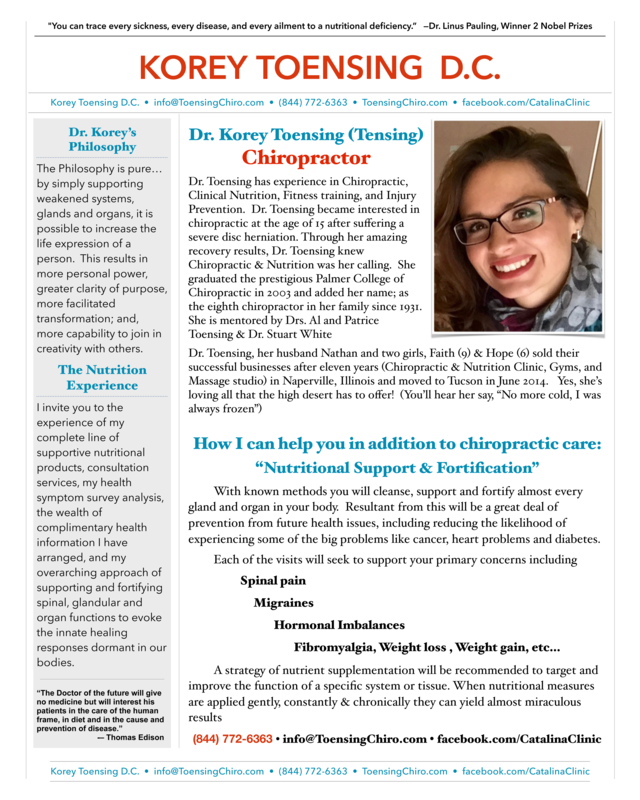 Her knowledge and skill go way beyond chiropractic care. She has taught me so much about my own body and nutrition. She really LISTENS to her patients! After visits to many other chiropractors, she was the one to finally listen to me and fix my issues. After just one visit with her, my chronic shoulder tension and pain was gone. After a few more visits, my neck pain was completely gone. She is a true healer. She really cares about her patients and does what is needed to help them feel their best. Thank you Dr. Korey for all you've done for me and my family. The Catalina Clinic is lucky to have you."